What is the Healing Bus? There are many Christians spreading the light and love of Jesus Christ out in the communities. A great example of this is The Healing Bus, a ministry headed up by Chelmsford Christian’s Marina and Nick Price. The Healing Bus is not about a bus but all about the love of Jesus. It’s about the church leaving the building and loving people. Sharing the good and unconditional love of Jesus, without condemnation. 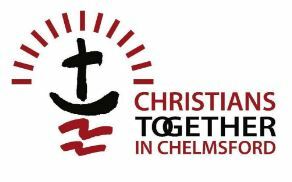 They are a mobile prayer ministry that uses a minibus to travel mainly throughout Essex, offering to pray with anyone and everyone for God’s healing touch. They also hand out Christian literature, (free of charge) about Jesus for people to get to know and love Him. If you would like your church or Christian group to invite a team member to speak, they would love to hear from you.